Do you people remember a time when anyone ((obv other than Clay Matthews – GO PACK)) wore a football jersey as well as Paul?? 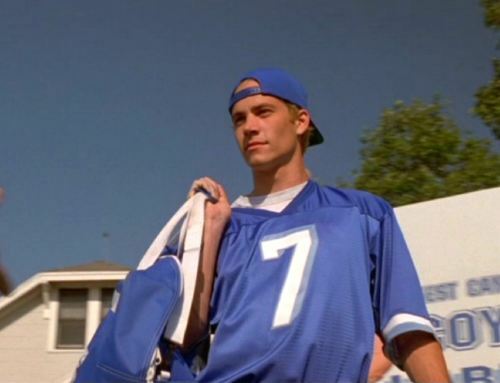 I’m talking Varsity Blues – for those of you that aren’t aware of how good he looked, even back when. That blue jersey with those blue eyes?? And the laundry room scene? You know what I’m talking about… definitely LUCKY NUMBER 7! Pleasantville. 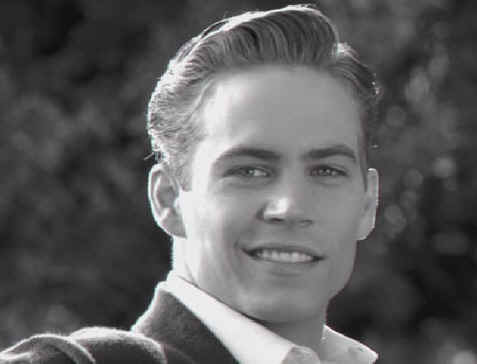 There is nothing more PLEASANT than a town with Paul Walker in it. Those cheekbones? I die. Plus he was captain of the basketball team and he looks soooo sick in black and white. Dude has got it going on! Jessica Alba and Paul Walker? Power couple of the century. My girl crush and my man crush together? That’s what dreams are made of people… thank you Into the Blue for bringing those two bodacious bods together for my enjoyment. Let’s not forget the douchey roll he played in She’s All That… a jock with a gambling problem? Sign me up! 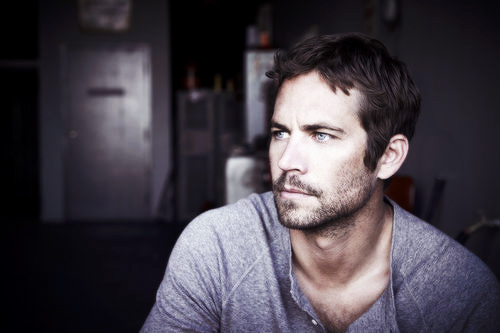 As my tribute to Paul comes to a close, I leave you with these last few pictures of #6 on My Sexiest Men List and the parting words of go see Fast & Furious 6 to support the career of the handsome Paul Walker. I need him in my life more than once every few years when they decide to make yet another film about crashing cars and running from the law. Thank you for your support in this cause!